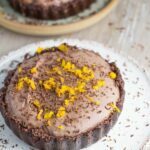 This raw chocolate orange tart is such a yummy dessert! 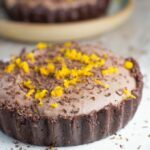 This dessert is really decadent and it is hard to believe that is made using healthy ingredients. It is also gluten, dairy and refined sugar free. What gives the amazing such a beautiful flavour is the use of wild orange essential, plus you get all the amazing health benefits that this essential oil provides, such as uplifting moods and energy levels due to it’s high limonene content. 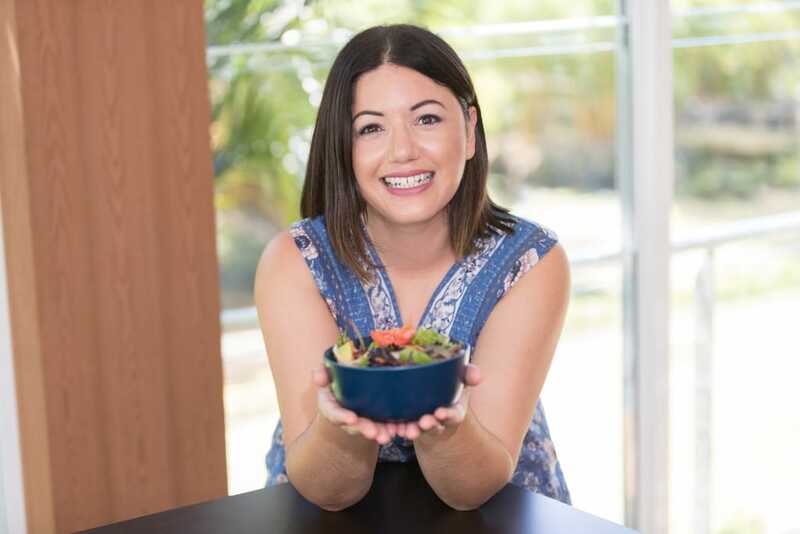 The below recipe caters for food processor and blender owners as well as Thermomix owners. In addition to that, I also developed a version using standard ingredients as well as using Wild Orange Essential Oil. Process the crust ingredients in a food processor or high speed blender until it resembles fine crumbs and sticks together when pressed. Halve mixture and place into 2 small tart pans (you may want to line them with cling wrap) and press down to form the base. Place in the freezer to set overnight or for a minimum of 4 hours. Place ingredients in a blender or food processor and process until the mixture is nice and smooth. Pour on top of the bases and place in freezer to set for 2 hours. Then add your preferred topping and serve. I recommend storing in the refrigerator to maintain the consistency of the filling. The cook time does not include the time it takes for the bases and filling to set in the freezer. Place all ingredients into mixing bowl and blend for 1 minute on speed 6 until smooth. Then scrape down the sides and repeat.